Gerrit Cole is a former No. 1 overall draft pick, and he’s making his MLB debut against the San Francisco Giants tonight. A fairly divisive prospect, some look at Cole and see a future Cy Young contender who will anchor the Pirates’ rotation for years to come. Others see someone with all the natural talent in the world, but without the intangibles and precise command that will allow him to truly thrive as a top of the rotation arm. With Cole’s major league debut imminent and his ability to help Fantasy teams now very real, the question of what Cole will become ceases to be solely an exercise in thought and gains importance for redraft and dynasty leaguers everywhere. We all know that Cole should be picked up in every league: you don’t come to a site that’s this niche looking for that information. What you want to know is: is he worth a No. 1 waiver claim? Will his WHIP and ERA hurt your team? If Cole’s first few starts are tremendous or terrible, should you buy low or sell high? Before you make your decision, let’s learn a little more about one of the minor’s more impressive arms.Cole is really a two-and-half pitch pitcher at this point in his career, but those pitches are downright scary. As I’ve written before, I saw Cole face a stacked Portland lineup last August, and I can say with little hesitation that he’s the best pitcher I’ve ever seen in the minors. The best way I can describe Cole’s fastball-slider combo is “violent.” While MLB hitters can square up velocity, the ball truly explodes out of Cole’s hand, and he has “easy gas” if I’ve ever seen it. The slider was perhaps a bit less consistent but no less devastating when it was on, and I’ve read several scouting reports indicating that Cole has been able to better harness it this season. When Cole threw his changeup he slowed his arm down noticeably but was still throwing the pitch too hard, generally registering in the upper 80s a la the good Daniel Bard. He didn’t rely on the curve much and the general consensus seems to be that that’s a good thing, and that he’s largely moving away from what is viewed as an inferior pitch. The change has real promise, though, and will be important in helping him combat left-handed hitters. So if the stuff is top notch, what keeps scouts from praising Cole as effusively as they might? The two primary culprits are command and mound presence. Cole posted a 3.51 BB/9 in Double-A last season and has generated similar results in 2013, notching a 3.71 mark in 68 innings in Triple-A. But the walks aren’t the only thing killing Cole: he misses up in the zone too frequently as well, making his plus-plus stuff a bit more hittable than it should be. To me, this is the best argument one can make that Cole isn’t ready for the majors yet. If he leaves a fastball belt-high to a good left-handed hitter, it doesn’t matter if it’s coming in at 99 mph – it’s going out of the yard even faster. Homers have yet to become a significant problem in Cole’s career, but he’s going to be a guy who gives up bombs now and again. A lot of strikeout pitchers do. Moving on to Cole’s mental makeup, I personally do not view this as as serious of a flaw as it appears many others do. Sure, you’d like for Cole to find that sweet spot between bulldog and surgeon and view him as unflappable on the mound. 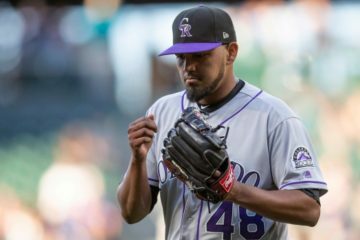 But the man is still just 22 years old, is widely renowned for his competitive juices and is still learning – and pardon the scouting cliché – to becomes a pitcher and not just a thrower. This is a process that takes time, and that Cole doesn’t have it all figured out yet in his second full professional season is not a huge red flag in my book. So where does this leave Fantasy owners, and how much should you invest in adding Cole to your team? There will be some ups and downs with Cole to be sure, but I truly believe he’s a dominant force that can make an immediate impact on teams everywhere. 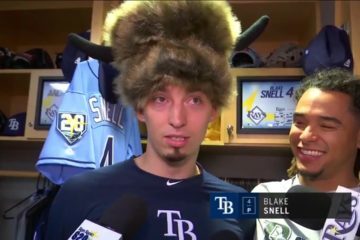 If you’re expecting him to do a Shelby Miller impression right away, then yes, you’re going to be disappointed. But I have little doubt that Cole can strikeout a batter per inning (his weird K/9 in Triple-A aside) and I have little doubt that he’s going to throw some gems along the way. Assuming Cole throws 100 innings for the Pirates this year, I think you can reasonably expect 6-9 wins, 90-110 strikeouts, and ERA just south of 4.00 and a WHIP of around 1.15. Those aren’t elite numbers, but they make Cole useful, and especially so if you’re savvy about the matchups in which you us him. Long term, I truly believe in Cole’s ability to serve as a Top 15 pitcher in the league, even if that future doesn’t come for another two or three seasons. I know every right-hander with great stuff and spotty command is compared to A.J. Burnett now, but I view that as Cole’s floor, and nowhere near his ceiling. Seeing his fastball and slider in person can change a man. 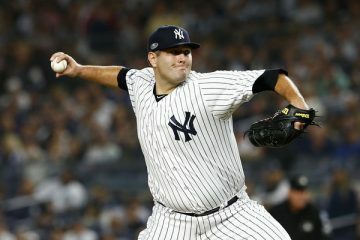 Rookie pitchers are almost always overrated by the Fantasy community and large, but sometimes, they’re worth the hype. If you manage your expectations, Cole is going to help you for a long time to come. Who do you think I should promote from a minors roster, Ozuna or Arcia? Could use the space to add Erasmo and need R/AVG from the promoted OF.